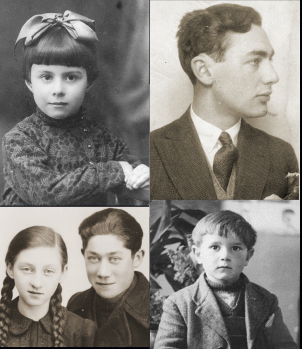 This video provides an overview of the Holocaust, Days of Remembrance, and why we as a nation remember this history. Memory is what shapes us. Memory is what teaches us. We must understand that’s where our redemption is. [Text on screen] Between 1933 and 1945, the German government, led by Adolf Hitler and the Nazi Party, carried out the systematic persecution of and murder of Europe’s Jews. This genocide is now known as the Holocaust. The Nazi regime also persecuted and killed millions of other people it considered politically, racially, or socially unfit. The Allies’ victory ended World War II, but Nazi Germany and its collaborators had left millions dead and countless lives shattered. I think the important thing to understand about this cataclysmic event is that it happened in the heart of Europe. Germany was respected around the world for its leading scientists, its physicians, its theologians. It was a very civilized, advanced country. It was a young democracy, but it was a democracy. And yet it descended not only into social collapse but world war and eventually mass murder. A strong man came to power in Germany whose ideas were that Germany has to create a national community, which would include only the Aryan race, which he considered superior, and all the people who did not belong to the Aryan race could be eliminated. With planning and propaganda, he was able to convince most of the German people to go along with him, insensitive to what happened to the Jews who had basically been their former neighbors. And he managed to build concentration camps and killing centers and finally gas chambers to annihilate six million Jews and at the same time also millions of others, murdered in a systematic, government-sponsored way. And it’s made up of so many people who participated in different ways, who made it possible. People who follow orders without question, bystanders who watch and do nothing, ordinary men and women simply going with the flow. The events and the results of the Holocaust were so devastating. It was an extreme that we can barely imagine. It’s so mind-boggling that the temptations to forget and to repress, to just put it out of mind, are very real. But we remember. We remember because it is an unthinkable scar on humanity. We need to understand what human beings are capable of. We gather today to mourn the loss of so many lives and celebrate those who saved them, honor those who survived, and contemplate the obligations of the living. 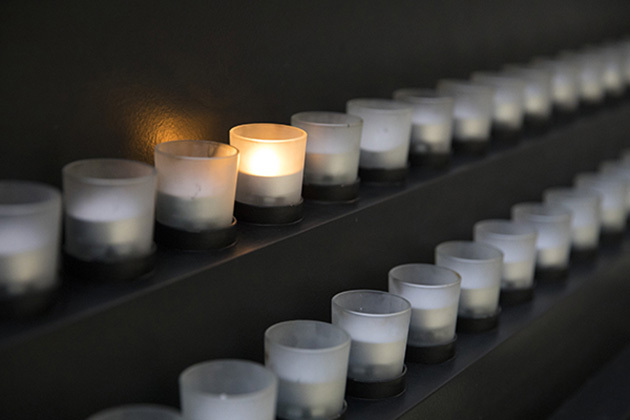 Days of Remembrance is our nation’s annual commemoration of the Holocaust—this time that was both a blight on the history of humanity but also a shining moment for the people who were brave enough to put an end to it. We are remembering, first and foremost, all the victims, and that is not only the Jewish victims, but there were many non-Jewish victims. Of course, the Jews were the primary target. The millions of innocent people, including my family and friends, who were killed because they were of the wrong religion, because they had no means of protecting themselves. It’s also important to remember the rescuers. These were people who risked not only their own lives, sometimes the lives of their family, to save a fellow human being. And we also remember our American soldiers who were fighting to win World War II and in the course of that, liberated these concentration camps. Those that arrived at the camps in 1945 and were just horrified at what they saw. And that was a huge task for the American soldiers: to help bring humanity back to these people who had been dehumanized for years, to give them medical care. Looking back allows us to understand how important it is for us to serve in a country where we have the strength and the might and the will to defend those that are defenseless. So Days of Remembrance is an opportunity for us to remember the suffering that was and the efforts that were made to put an end to such suffering, and it’s a call to conscience today in our world to make sure that we aren’t the silent ones standing by, contributing to the suffering of others. In 1945, at the end of the war, I would have thought that there would never be another Holocaust, that the world was so shocked by what had happened that the world would not permit that. And yet you see what happened in Bosnia, what happened in Rwanda, what happened in Darfur. So there’s still millions of people being persecuted because of their ethnicity. It’s really a moral challenge to us to do more in our own lives when we confront injustice or hatred or genocide. The important thing is that one should not become indifferent to the suffering of others, that one should not stand by and just raise one’s hands and say, “There’s nothing I can do, I’m just a little one person,” because I think what everyone of us does matters. That’s not enough to curse the darkness of the past. Above all, we have to illuminate the future. And I think that on the Day of Remembrance the most important thing is to remember the humanity that is in all of us to leave the world better for our children and for posterity. Explore resources for commemorating Days of Remembrance. Learn the dates for Holocaust Remembrance Day in coming years.